Uber drivers will have to wait a little longer before forming a union. Local 1430 of the International Brotherhood of Electrical Workers (IBEW) union plans soon to withdraw its petition for an election at the National Labor Relations Board (NLRB) to represent 600 drivers at New York City’s LaGuardia Airport, sources familiar with the matter told International Business Times. The drivers were seeking to become the first federally recognized union at Uber, the booming San Francisco-based ride-hailing company. But soon after the Electrical Workers filed for the election, another union, the International Association of Machinists, raised concerns with the AFL-CIO, citing the umbrella labor federation’s jurisdictional rules. The AFL-CIO then successfully requested that the NLRB delay the election. 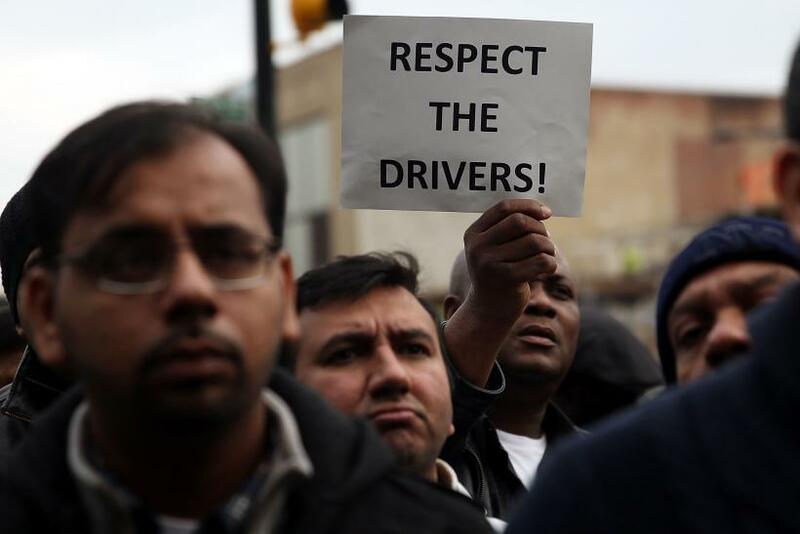 At the time, the Machinists union, which represents about 200 black-car drivers in New York City, said it was less interested in staking out turf than developing an effective long-term strategy for organizing Uber drivers. Representatives from the Electrical Workers, Machinists and Amalgamated Transit Union (ATU) met twice this week, Monday and Wednesday, at the headquarters of the AFL-CIO to hash out the dispute. In those mediation discussions, the three unions tentatively agreed the IBEW would withdraw its election petition. They also resolved to work together for the next six months on developing a coordinated strategy to tackle Uber and other ride-hailing companies like Lyft. Potential next steps could entail passing a piece of legislation — a proposal to place caps on drivers or fares, for example — continuing to do more research or filing for another election at the NLRB using a differently sized bargaining unit. Once the six-month deal expires, the IBEW would, in theory, be free to file for an election again at LaGuardia. The agreement is tentative and still awaits signoff from the international unions, but is expected to receive final approval as early as Thursday. “AFL-CIO unions have decided in the interests of union solidarity to cooperate in order to provide the best representation possible for the largest number of Uber workers,” the parties were directed to say. 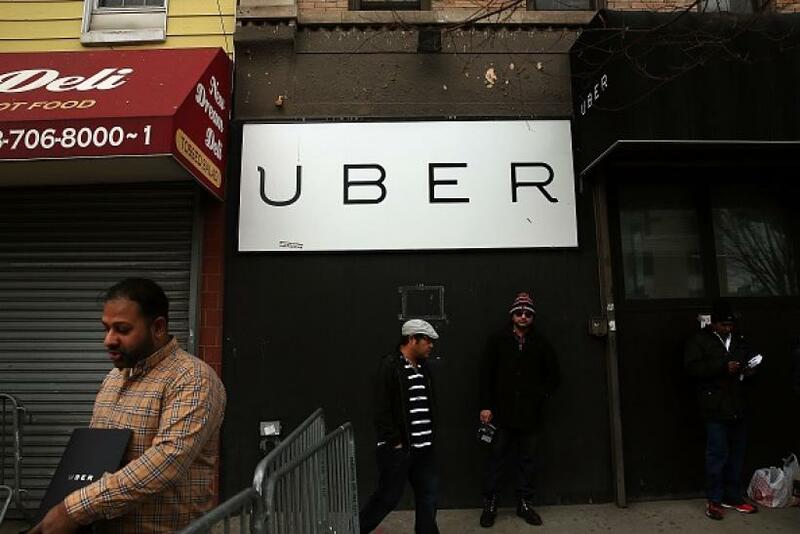 IBEW Local 1430, a small local based in Westchester County, New York, caught many in the state’s labor movement by surprise when it filed for an election at Uber earlier this month. The New York Taxi Workers Alliance, for example, has done its own, separate outreach to workers and organized rallies to protest the company’s recent decision to cut fares by about 15 percent in the metropolitan area — a major source of frustration among some drivers. For any election to proceed, the National Labor Relations Board would first have to determine drivers are employees, not independent contractors, as the company argues. That distinction is also at the core of a major federal class action lawsuit: Uber drivers in California allege the company owes them back pay for failing to pay minimum wage or make reimbursements over fuel and maintenance. The case goes to trial June 20.